Best of the Best 2008"The Tammy Taylor Nail Squad"
Mary Stokus (Director of Education), Barbara Barnette (Director of International Relations), "The Tammy Taylor Nail Squad" from Left to Right, (back row) Cheryl Bergmann, Karen Williams, Tammy Anderson, Nicole Holland, Lisa Santos, Tamara Weeks, Corine Hughes, Tammy Taylor, (front row) Alethia Hall, Angela Jacobs, Ann-Marie Fiducia, Sontay Jackson. Last weekend we had the most Wonderful and Exciting Nail Party. A Team of our Top Nail Educators were certified to go to the next level with the prestigious title of "The Tammy Taylor Nail Squad". The #1 requirement to be on the "Tammy Taylor Nail Squad" is a Generous Giving Heart and Personality to help others have a successful nail career. This Team of Women are Nail Technicians, Salon Owners and Instructors who work full-time and still take time out of their busy schedule to help others; who are still in nail school, or just starting out, or those that are struggling with perfecting their nails or having a hard time building a clientele. The "Nail Squad" has a true Passion for Nails and for People. They are big hearted, helpful, caring Educators who Love to see others succeed. They put their whole hearts into being the best Nail Educators, and HEART is what it takes. Doing beautiful nails is an important part of being on the "Nail Squad" and these women do beautiful nails; but the most important reason these women were chosen to be on the "Nail Squad" is their LOVE of NAILS and their LOVE of HELPING others achieve their full potential. 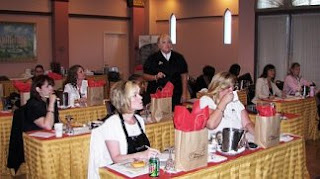 To VIEW all of our EXCITING photos and to learn more about each of our "Tammy Taylor Nail Squad" Educators click here. Mary Stokus, Director of Education, for Tammy Taylor Nails heads up this Amazing Team of Women: "The Tammy Taylor Nail Squad". 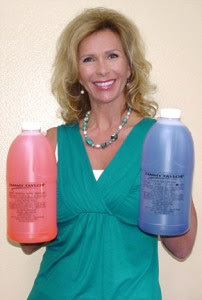 Mary has been exclusively Tammy Taylor since 1997. Her passion for the nail industry started at a very young age and was instilled by her Mother, Anna Maria, a Cosmetology Instructor and Salon Owner. One of her fondest memories as a little girl was when a Tammy Taylor Educator visited her home to teach a one-on-one class to her Mother and sister (also a Tammy Taylor Nail Technician). From the moment Mary started as a Nail Technician, she understood the importance of furthering her education. She flew to California and attended a 2-Day Advanced Class by Tammy Taylor herself; from then on Mary was unstoppable. She joined the Tammy Taylor Team and started teaching classes. 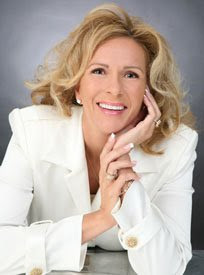 And since 1997, Mary has earned her Bachelors Degree in Marketing Management and is a Licensed Nail Instructor. As the Director of Education for Tammy Taylor Nails, Inc., her position allows her to help and train other Professionals, Salon Owners, and Instructors throughout the world on a daily basis. 1. Sanitize - Your mind of unproven products, which don’t work! 2. Remove Polish - From your thoughts, because Pink & White will make you more money! 3. Etch - Your business in one direction to prevent at least 70% of failure! 4. Dust - Off your checkbook; don’t use a plastic pen; gold is what you need now! 5. Prime - Your spirit! Sparingly, leaving room for growth! 6. Form - Yourself for greatness! 7. Re-prime - Your spirit and prepare for it to stick! One day at a time! 9. File - All of your taxes. 10. Buff - Your face of frowns, to a high shine smile! 11. Wash - Your hands of people that want to hold you back! 12. Polish - Off your doors and be prepared! Cover yourself from A to Z, because your success is in your hands!!! The "Nail Squad" does Private lessons & Group lessons, for licensed Nail Technicians, Salon Owners, Nail Students, School Instructors and School Owners. Turn Winter Feet into Beautiful "Sandal Shopping" Summer Feet in under 30 minutes! do. You do not need forms or tips, and they do not even need to be perfect, since your clients toes are 4 ft. away from eye level. step-by-step, how to do fast and easy toenails. will look forward to going to work Everyday. eliminate more than 75% of all lifting problems). "The Greatest thing about Nails is when the economy is good the Nail Business is Good, when the economy is not so good the Nail Business is Still Good." Women love their nails! I have been in the nail business 27 years and I started when the economy was not that good, and I have been through at least 3 down cycles since then, and women have never stopped getting their nails done. Let's say a woman is having a hard day or going through little financial difficulties, but she wants to do something for herself to brighten her spirits; she might not have as much free money as she used to, to spend on big purchases like re-decorating her home or a new wardrobe, but she always has enough to spend on her nails. It does not cost a lot and it brightens her spirits, and makes her hands and feet look beautiful for the next 2 weeks. Now what else could a women do that would last 2 weeks and make her feel that good for under $100.00? Nothing else: only nails! Don't you just love this business! We are so lucky to be in such a great business that is so fun, rewarding and dependable. Also when the economy is not so good a lot of women go back to work. When women work outside of the home they like for their nails to look nice all the time, not just special occasions. This is a great opportunity for you to get clients on a 2 week standing nail appointment; (make sure you make appointments available that work around their work schedule). I get e-mails and calls every single day from women looking for Tammy Taylor Nail Technicians who do Pink & White Sculptured nails and toenails; Prizma Nails, Spa Manicures and Pedicures. These requests have not slowed down at all; we have actually gotten more requests lately. The main thing you need to remember: "Women Love their Nails and they are not going to give them up! They will always find a way to get their nails done." "POLISH REMOVER" and "NAIL HARDENER"
"Tammy Taylor Polish Remover" with conditioners is the fastest nail polish remover you will ever use, and natural oils are added to condition and prevent drying of skin and nails. Works Fantastic on Acrylic nails and on Natural fingernails.
" I was tired of making a MESS every time I took off a client's RED POLISH. So, I made a Polish Remover Formula that is FAST and NOT MESSY. It is Deliciously Fragrant also, with TWO Yummy Fragrances to choose from, FRESH PEACH and GARDENIA." "Tammy Taylor Nail Hardener". After you try this Nail Hardener, you will never want to use another nail hardener. Use as a Basecoat and as a Topcoat and in between Manicures. Just brush on Tammy Taylor Nail Hardener every 3 days for thick, hard, healthy looking fingernails that will grow long and strong. Cotton V.P., Maria Penaloza V.P. and Barbara Barnette Director of International Relations." "FREE PRIZMA (Color Acrylic Nail Powderz) and a BRAND NEW Web Page for You to Show Off Your Work"
"Prizma Powderz is the most Exciting and Awesome, Color Acrylic that has revolutionized the way Nail Technicians do nails and nail art. Prizma Powderz are so strong, durable and easy to use, you can create your entire nail and nail designs with Prizma. The nails are just as strong and durable as Tammy Taylor Original Acrylic Nail Powders." "Offer your clients a set of Prizma finger-nails or toenails for the price of a fill to get them started: or simply thin out the acrylic nails they presently have and put Prizma over the top. Have them try it for one month and see how they like it. This is a great opportunity for you to increase your clientele by giving each client 20 business cards for them to pass out. Have fun letting your imagination have NO boundaries. DO NOT stereotype your clients!!! 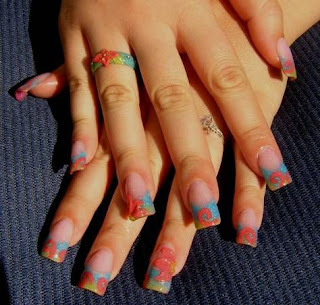 Put a set on yourself and whatever you the Nail Professional is wearing, the client will want." New Web Page! "Tammy Taylor Nail Designs from Around the World"
You can now Enjoy seeing Tammy Taylor Nails from around the World, on my (your) new Tammy Taylor Nail Designs from around the World web page. It is so fun to see what nail Technicians everywhere are doing. Doing Nails is an art, and my (your) new web page lets all of you show off your talent. I am not limiting it to only nail art; I want your nail art, nail designs, Pink & Whites, Prizma nails, etc… Everything you can possibly do with Tammy Taylor acrylic or Prizma. This is going to be so much fun. I can’t wait to see all of your Beautiful Nails and Designs. Let your imagination run wild! My name is Morayma Zweers and my Salon name is Nails Hair Skin; and my Salon is in Bonaire, a small island in the Caribbean. Fore these Pink & White toenails, I used Dramatic Pink and Dramatic White. I am a student and will be getting my license in June. This is my first backfill on myself and my first ring. Nail-bed is P-102 French Pink; the free-edge is P-125 Sky Blue & P-130 Lime Green; the flowers and swirls are P-106 Orange Slice. Ring is made from the same Prizma colours. I use and love my TT 3-D nail art brush.